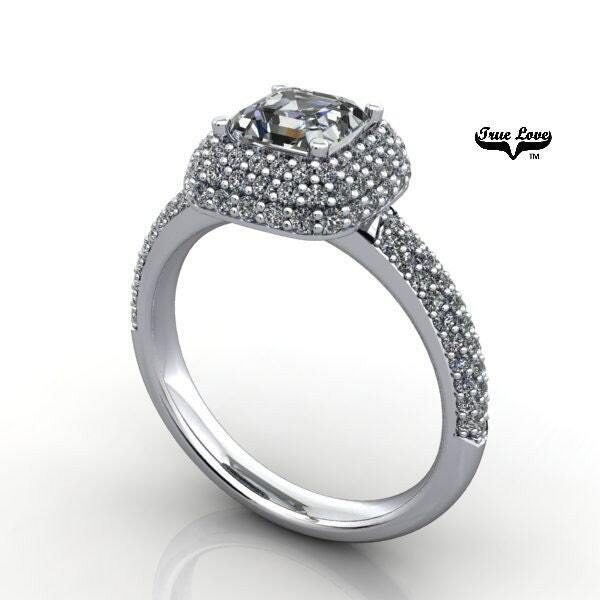 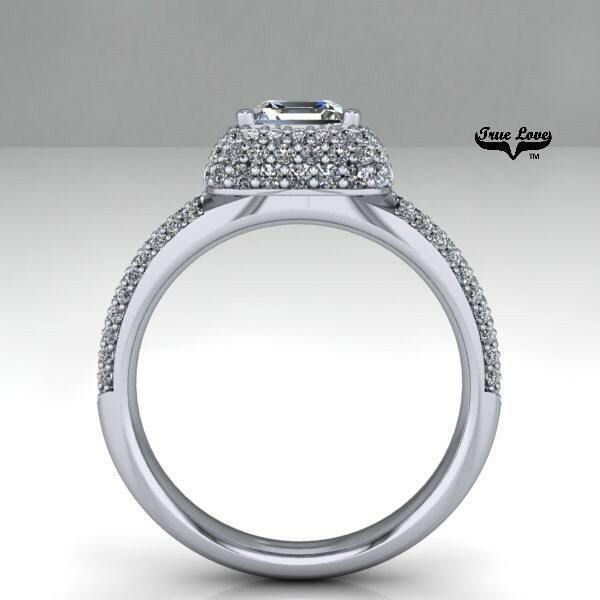 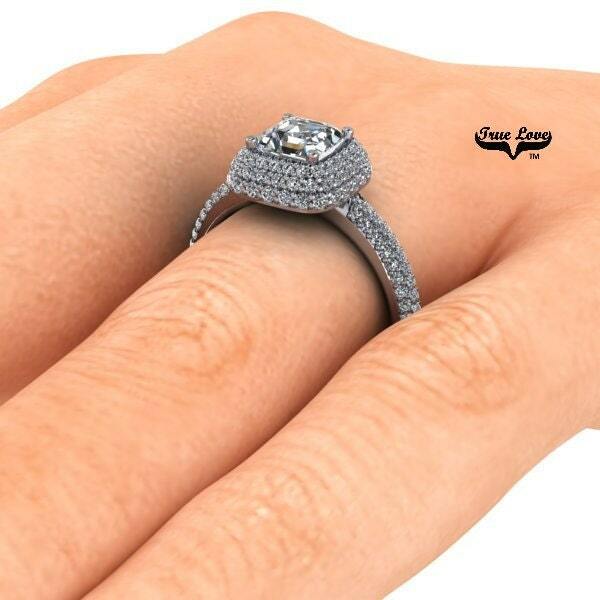 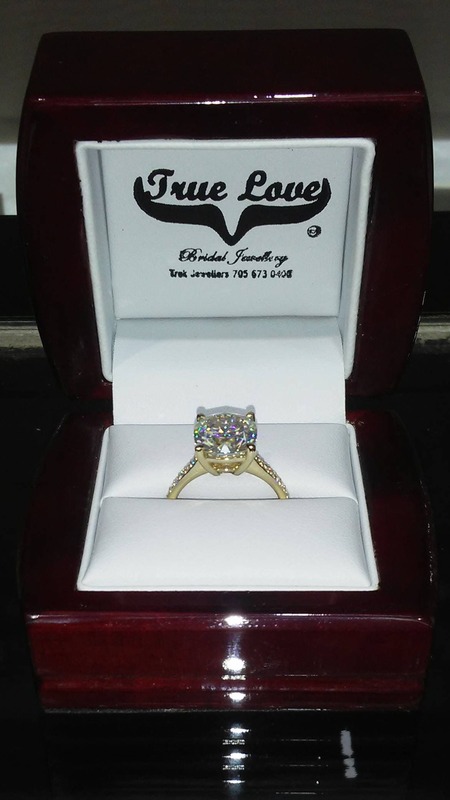 A stunning creation combining One Antique Cut Trek Quality #1 Moissanite , Sixty Six halo Moissanites and Sixty two side Moissanites set in 14 kt. 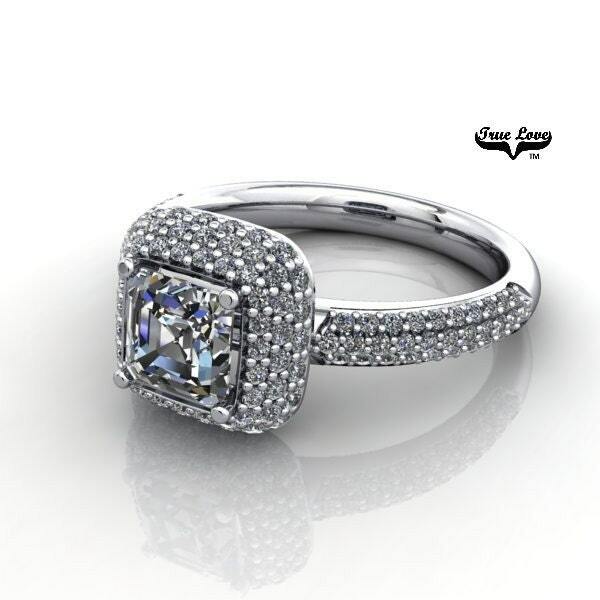 white Gold. 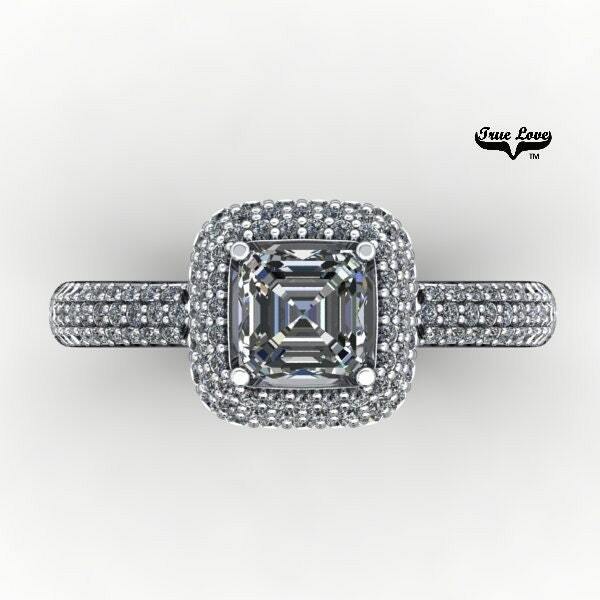 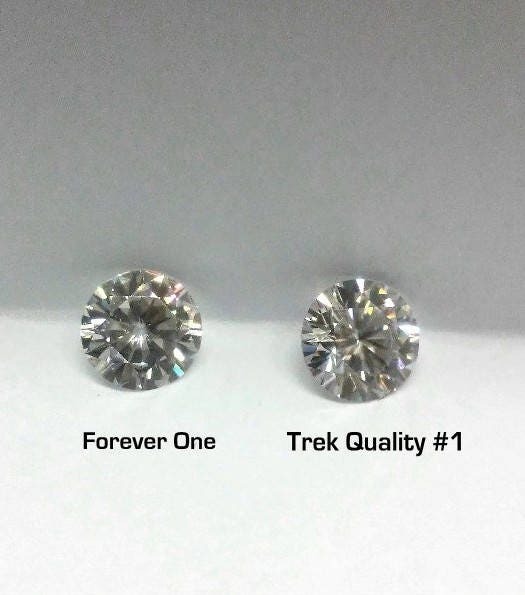 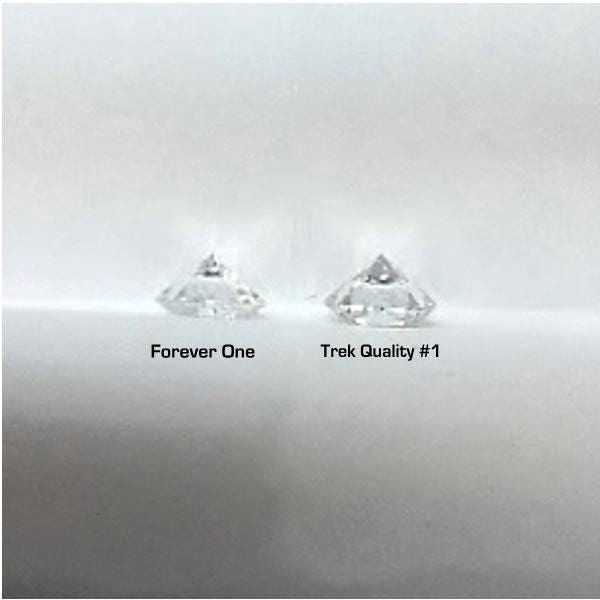 The center stone is a breathtaking 5.5 mm .85 Carat Trek Quality #1 t color Asscher Cut Moissanite.